Since we all eat, we all must poop. All of us! Everyone! This wonderful, modern-day toddler classic presents information that children both want and need in a refreshingly honest, informative, and age-appropriate way. 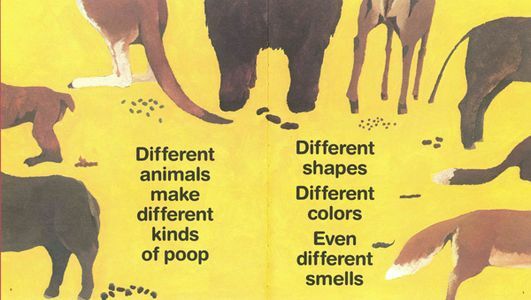 "Everyone Poops by Taro Gomi is part biology textbook, part sociological treatise and all celebration of a very natural process. Both my daughters begged me to read the book over and over again. They marveled at the enormity of the elephant's poop and searched with the skill of a scientist for the tiny specks which represent bug poop. 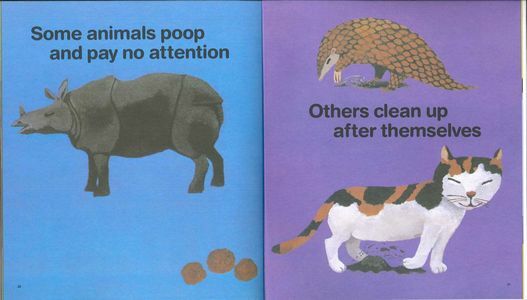 Taro Gomi has created more than 350 books for readers of all ages, including Everyone Poops. His work has been translated into more than 15 languages. He lives in Tokyo.